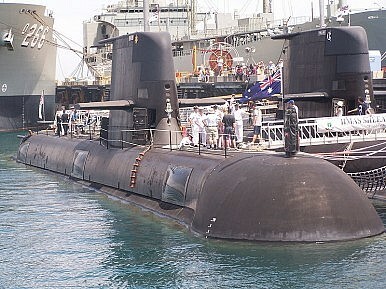 Australia has begun discussions concerning a new submarine class. Could a Japanese solution be the answer? Harry Kazianis explains. Australia has been on the hunt for possible designs for its next generation submarine program. With potential options already including domestic, European, or American suppliers, a new entrant into the race has recently emerged. “The best approach to Australia’s new submarine program depends on what one wants the submarines to do, how much time one has to wait for their arrival, the level of risk one is prepared to accept and the depth of one’s pockets. Most of the European designs are rather small, have been designed to perform a different mix of tasks to those required by the Royal Australian Navy (RAN) and to perform them in a quite different operating environment that features shorter distances and much colder water. The newer, larger ‘paper’ designs being developed by some European manufacturers are currently a long way from becoming reality and will be a largely unknown quantity for many years to come. The largest conventional boats that appear to approach many of the requirements of the RAN are the Japanese Soryu submarines. These boats are a little larger than the Collins class and appear to operate reliable Stirling air-independent diesel-electric propulsion systems. In theory, the purchase or joint development of the Soryu class would seem to be an attractive option for Australia. However, there are many practical difficulties, not least the long-standing political constraints in Japan on exporting defense equipment, except under special circumstances to the United States. Nevertheless, there is good sense in the RAN talking to the Japanese Navy to explore possible avenues of cooperation. Both sides could potentially benefit greatly over time. If the Australian Government simply wanted a more reliable and capable class of evolved Collins class submarines, a modernized and extended Collins, perhaps with a Japanese propulsion system might make sense. However, this option would take a long time to design, develop, prove, manufacture and introduce into service. The risks of this course would also be high and it would certainly be a very expensive option – producing what would almost certainly be the most expensive non-nuclear submarines in the world. This brings the discussion back to the key question of what Australia wants the new class of submarines to do. If it is largely to provide a ‘crocodile in the ditch’ defensive capability in the waters off Australia’s northern coast with limited operations of modest duration in more distant regions then the option discussed above might be appropriate. However, if the Australian Government is sufficiently concerned about the emerging strategic environment in the 2030-2050 timeframe, it may be more prudent to aim for a more capable class of submarine. It may be better to look for a proven class that has far stronger potential to worry and deter even a major power that may be tempted to coerce Australia or one of its close allies in that timeframe. If Australia wants to buy stronger deterrence and much more powerful diplomatic leverage then the purchase or lease of either US Virginia Class or UK Astute class nuclear-propelled submarines would be a far better option. They would be a powerful means of re-shaping regional security perceptions and engendering far greater caution on the part of any potential adversaries. They could represent strategic ‘game-changers’. Both of these submarine classes are well-proven in service (especially the Virginia’s), they are reliable, low risk, long-ranging and can do just about everything the conventionally-powered boats can do only far better. They never need to be refueled and their acquisition cost is in the same ball-park as that of a new-design large diesel-electric boat. The key here is that the Virginia/Astute option would deliver powerful strategic effects that put them in a different class to the diesel-electric submarines. If Virginias or Astutes were to be the preferred capability they would be taken from the proven production lines in the US or the UK, once the key crewing, operating and maintenance skills had been developed and fully proven within the RAN. Australian industry would still have plenty of demanding work to do in designing and building the new offshore patrol combatant and next-generation frigate projects.